Welcome and thank you for choosing Desert Eye Associates, Ltd., as your next eye care professional. 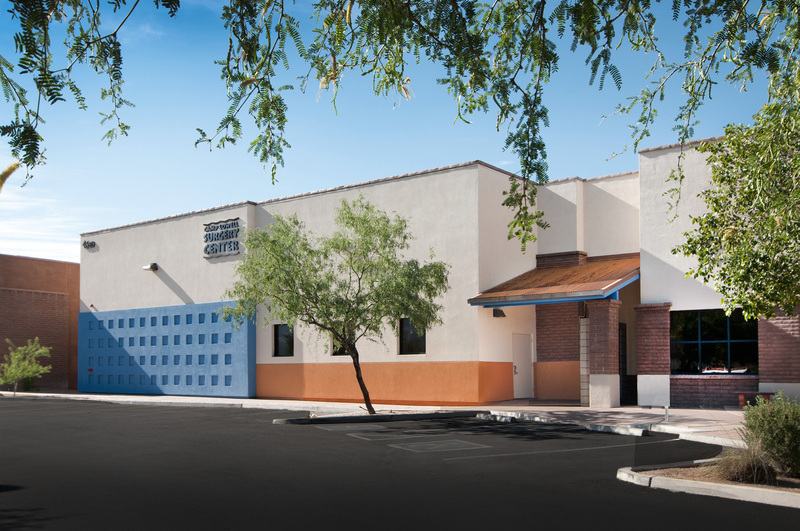 Our practices are located in the beautiful southwest cities of Tucson and Green Valley, Arizona. The office hours are 8:00 a.m. – 5:00 p.m., Monday-Friday, and for our patients’ convenience we are open during lunch. The skilled surgeons, doctors and staff are here to care for you, our patients and friends, and we will work for your trust for years to come. A vision examination will provide you with an eyeglass prescription or a correction to your current prescription. These examinations are usually performed by one of our exceptional optometrists (Dr. Parks or Dr. Pfau). The optical dispensaries located in the lobby of our medical offices offer a range of frames for your personal style and comfort. Only performed by one of our optometrists, the examination will consist of measuring the eyes for contact lenses. The decision of which type of contact to wear shall be determined by your doctor, your personal lifestyle, and for comfort. There are many options to choose from daily replacement to extended wear. For your convenience you may purchase contacts directly through our offices. A more complete examination, the physicians will exam your eyes to evaluate the health or diagnosis of illness. Our physicians can evaluate and treat most diseases with general ophthalmological symptoms or problems. To name just a few: cataracts, dry eye, glaucoma, cornea diseases, diabetes, macular degeneration, optical migraines, allergic conjunctivitis, ptosis, foreign body and lesions. This information is intended for educational and informational purposes only. It should not be used in place of an individual consultation or examination. A subjective examination the visual field is a method to analyze a patient’s field of view which may have been affected by diseases that can cause vision loss. Visual Fields are performed for various illness and disease such as signs of glaucoma or damage to the optic nerve, detection of central or peripheral retinal disease, or eyelid drooping. The testing is painless but may be moderately tiring for elderly or ill patients. This testing is performed for an array of illness including macular degeneration, diabetic retinopathy, glaucoma and neuro-ophthalmology. The images provide detailed visualization of the different layers of the retina, anterior segment and the optic nerve. It will assist physicians to diagnosis and monitor disease. The test is non-invasive and takes approximately 15 minutes from start to finish. A patient could be dilated for this test. A specialized medical imaging test used to take pictures of the structures located at the back of the eye, including the retina. The photography will produce a series of photos to be helpful in diagnosing and monitoring certain eye conditions. This test is quick and painless. Corneal pachymetry is a test to measure the thickness of the cornea by using an instrument called a Pachymeter. This test is considered important in the early detection of glaucoma. Eyes with relatively thin corneas have a greater risk of developing glaucoma. This test along with monitoring the eye pressure may form the basis of beginning treatment. Should the need arise our highly qualified surgeons are able to perform a variety of procedures. Surgeries are usually performed at Camp Lowell Surgery Center (ASC). The location for your procedure could depend on the specifics of your individual insurance policy requirements or type of surgery performed. Disclosure: Some of the surgeons of Desert Eye Associates, Ltd. has a financial interest at Camp Lowell Surgery Center.